Mike Ullery | Daily Call You know that it is cold when Snoopy is grounded! The World War I flying ace and his Sopwith Camel wait for warmer weather in a yard on Riverside Drive in Piqua. You know that it is cold when Snoopy is grounded! The World War I flying ace and his Sopwith Camel wait for warmer weather in a yard on Riverside Drive in Piqua. https://www.dailycall.com/wp-content/uploads/sites/30/2019/01/web1_012219mju_piqua_snoopy.jpgMike Ullery | Daily Call You know that it is cold when Snoopy is grounded! 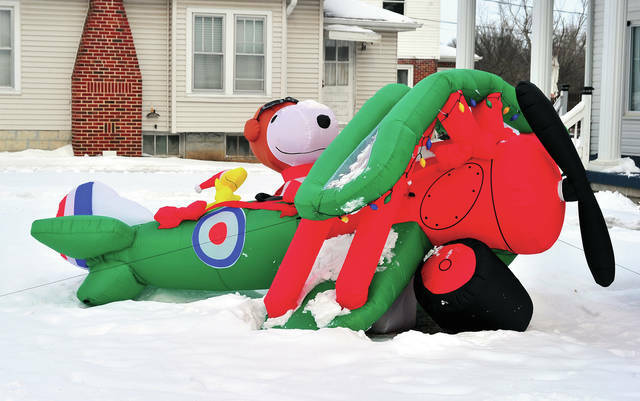 The World War I flying ace and his Sopwith Camel wait for warmer weather in a yard on Riverside Drive in Piqua.